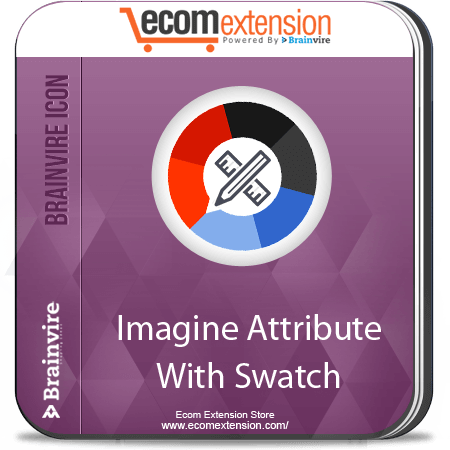 Magento Imagine attribute with swatch Extension enables store owners to add icons and images that are more user friendly than textual information. Icons and images provide customers with a better shopping experience that include pictures along with the product information. Images speak louder than words – and when it comes to ecommerce websites, images sell faster than text. Imagine Attribute With Swatch Extension for Magento helps you achieve exactly this. 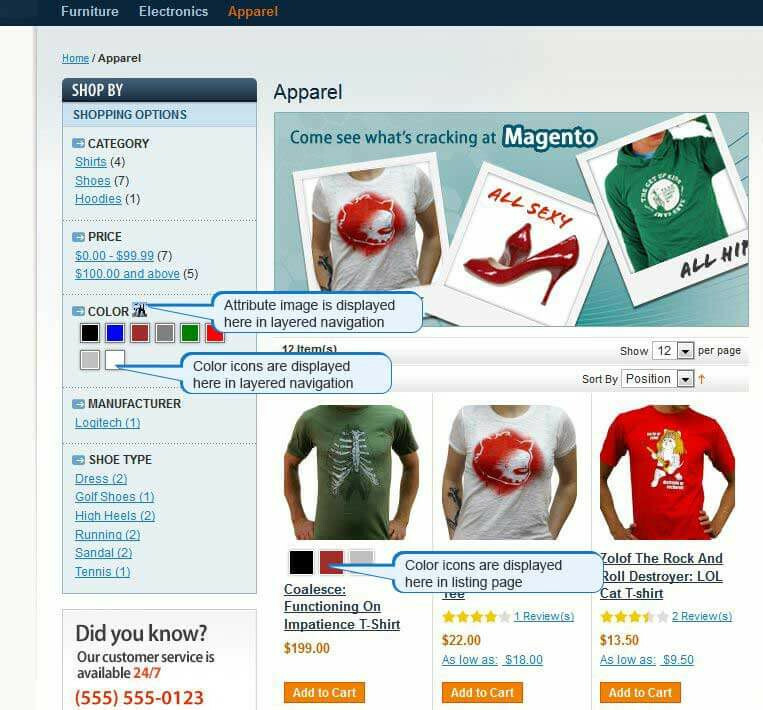 It helps you add images and icons to the product description and make them more appealing for the users. 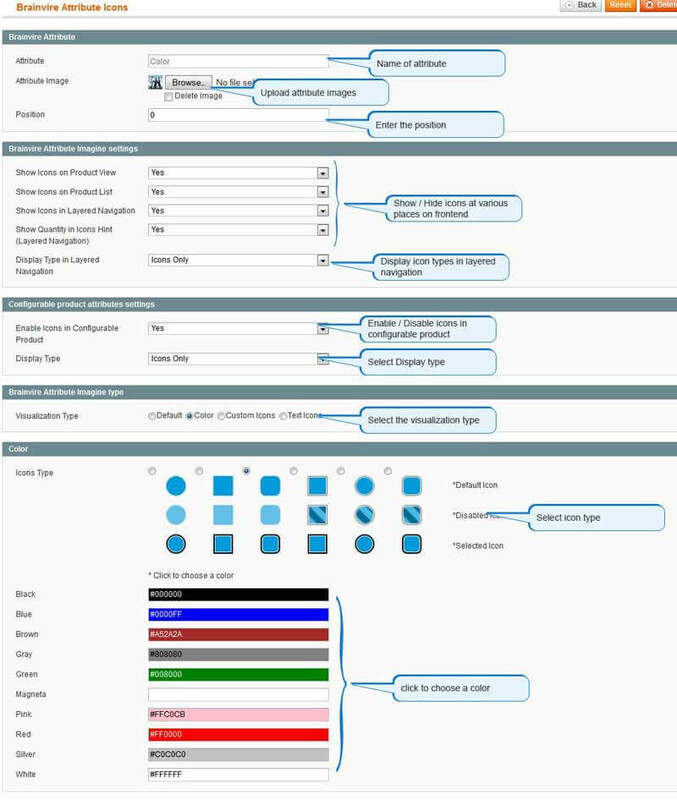 Imagine Attribute With Swatch Extension is especially used to add colour swatches, icons and images. For example, you can add a manufacturer logo, or sizes, or feedback icons, guideline icons, cloud tip icons and lots more. The Imagine Attribute With Swatch extension for Magento is easy to install and use. It is lightweight, fulfills the task with minimum obstruction and is in line with the Magento Standard Work Flow. Unlimited number of icon symbols. Includes 3 types of icons. Whenever the icon status is changed, Color and Text Icons can change their style as they are CSS defined. On module installation, Color Swatches can be created automatically. Icons can be placed on Layered navigation , catalog, product page, and filter. For configurable product, product images can be replaced with color swatches. Allows 6 sets of icons for text and color swatches. For each option of single-select and multi-select attributes, icons can be uploaded. Attribute Imagination in layered navigation is in better control with the user. No template patches and no rewrites. 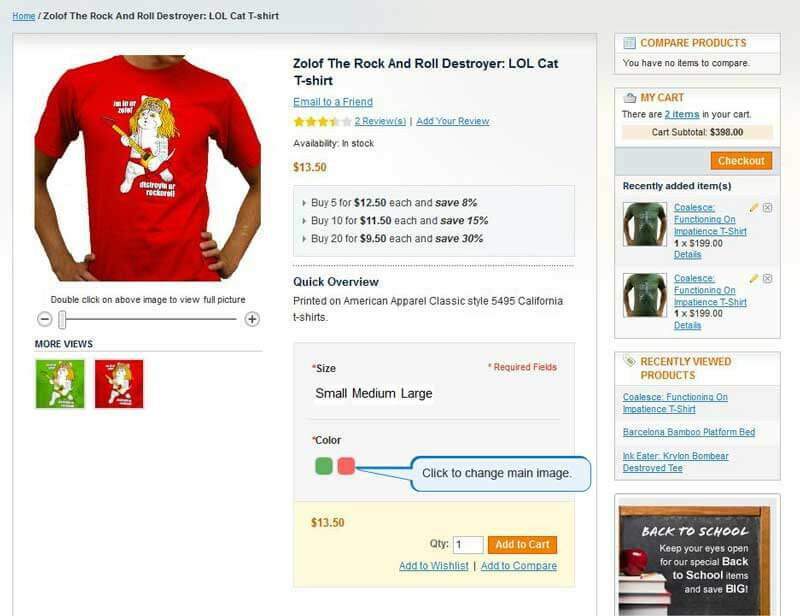 Display attribute image into checkout cart and layered navigation. 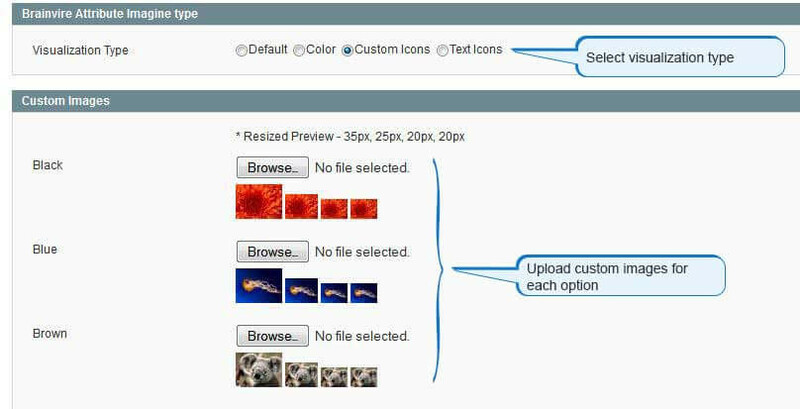 Display product attribute images and style on product list page with ability to Enable/Disable through settings. 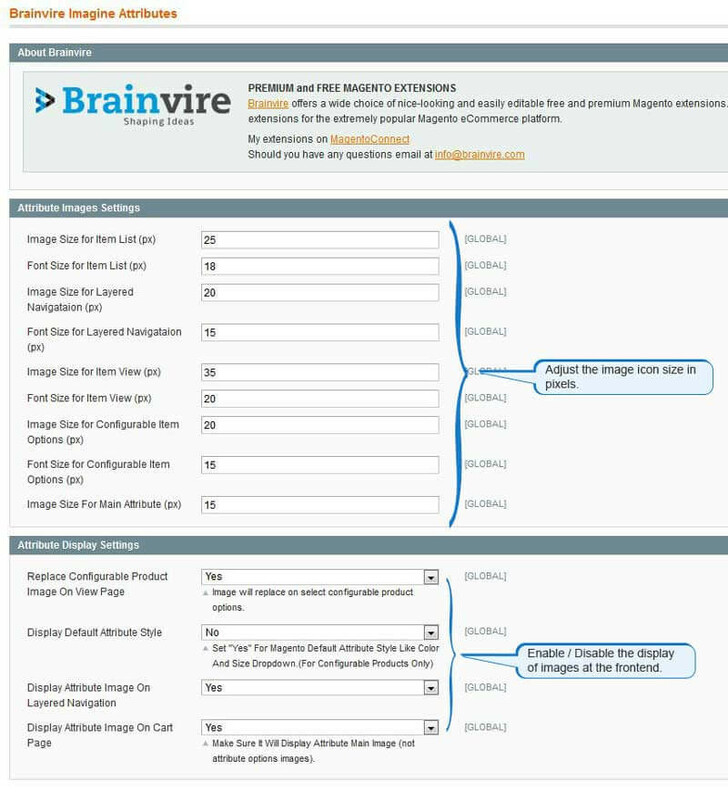 Replace configurable images on select attribute image in product view page.